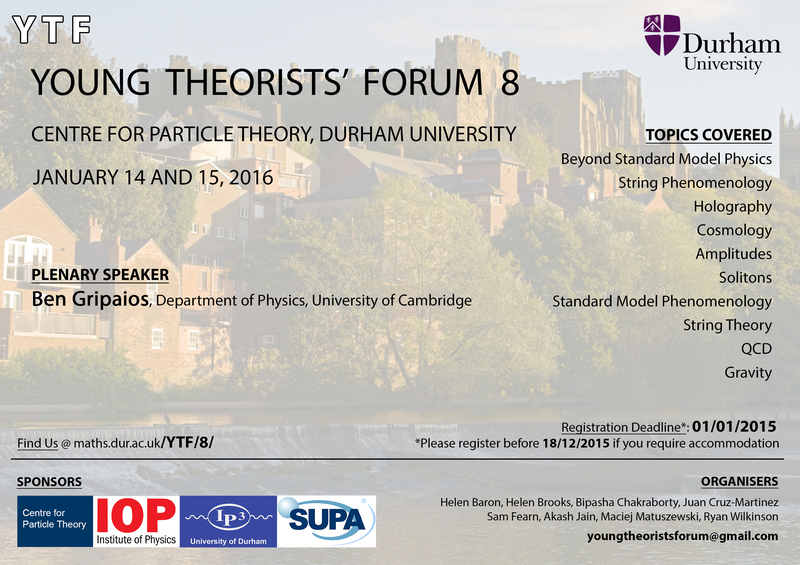 Welcome to the eighth annual Young Theorists' Forum (YTF 8) taking place at Durham University on January 14-15, 2016. 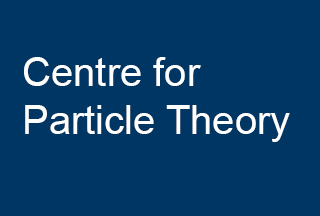 The purpose of YTF is to bring together postgraduate students working in theoretical physics, providing the opportunity to present their work to a sympathetic audience. Our aim is to foster development of early career researchers and encourage collaboration between different universities. Historically, YTF has been organised right after Annual Theory Meeting (ATM), which this year is being organised from December 20-22, 2015 (find more details on ATM website). 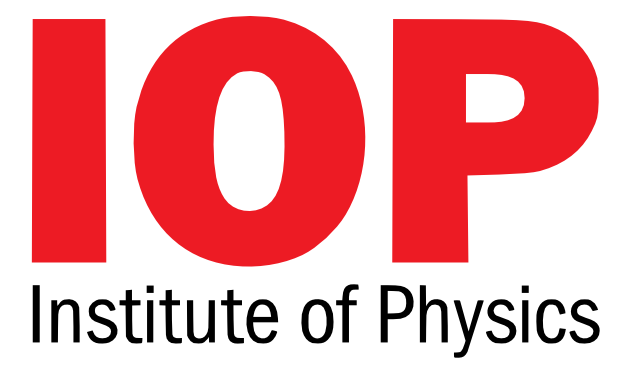 Due to logistic issues, this year YTF will take place right after YETI (Young Experimentalists and Theorists Institute) conference, which is being organised from January 11-14, 2016 (find more information at YETI website.). Accommodation and meals will be provided for all registered participants. More details on these logistics can be found here. 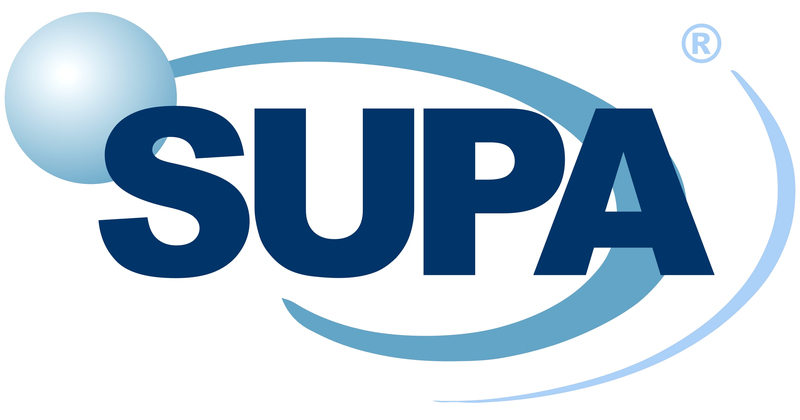 Any queries regarding the conference, can be directed to the organisers. Please download and ciculate this poster in your department. 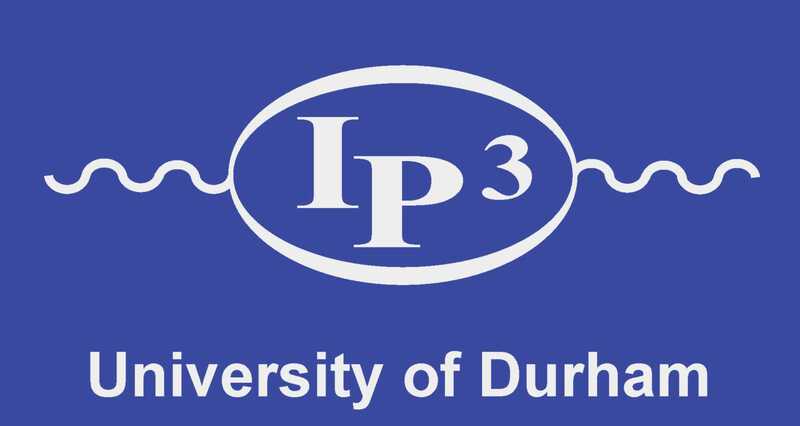 Copyright: 2015 Durham University. Designed using Themefisher.